Livy is a popular author in schools and universities in all areas of the English speaking world. The more popular books studied are those which recount the early history of Rome and the more noteworthy events of the Second Punic War. The period covered by these five books, from the war against Antiochus the Great to the death of Philip V of Macedon, is of increasing interest to students of Hellenistic Greece and Roman imperialism, and should therefore increasingly interest university departments and Examination Boards seeking to break away from the conventional choices of the first and third decades. This is the only modern edition in English of these books. 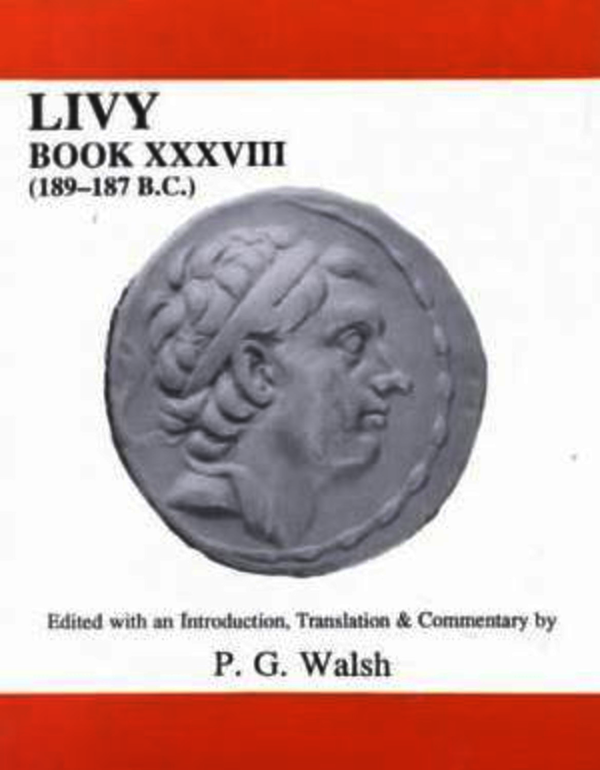 Book XXXVIII of Livy, occupying the central position in the series is of particular historical importance, covering the years 189-187 BC. The books' contents divide into two parts; first, the final settlements with Greece and Asia, following the war against Antiochus the Great and the Aetolians; and second, the beginning of Roman internal discord, with the dispute over the triumph of Manlius Volso, and as climax, the trails of the Scipios. Latin text with facing translation, notes and commentary. It is the third of the five books projected in this series.